Beachy keen. Now that’s a man’s two-piece, I guess, more covering than her’s! Fun find this is, Kerbey. Well, he needs to cover up that Charles Atlas chest with a tank top to keep the other ladies at bay, but why the belt I wonder? Why and how would one cruise to Virginia? If I only had an answer to that. I don’t get it. Oh man, I love this poster. 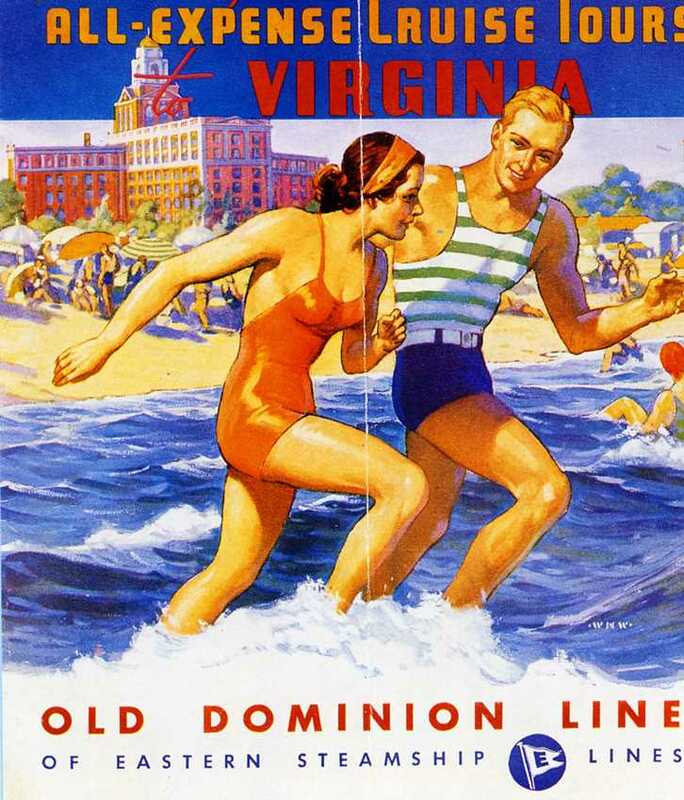 That hotel on Virginia Beach , the Cavalier, was built in 1927 ! Now that’s a spaghetti strap!